Provide comfort for the family of Wanda Lowrey with a meaningful gesture of sympathy. Mrs. Wanda Lucille Lowrey (nee Moore), age 87, of Mount Airy, MD, died Tuesday January 22,2019 at Gilchrist Hospice Center in Columbia. She was the late wife of William Henry Lowrey. Mrs. Lowrey was born on September 24, 1931 in Woodbine, Md, the daughter of the late Bradley Marshall and Blanche Violet Moore. She was a previous Bus Driver for Howard County and a bookkeeper for several business. Surviving are her children Son and daughter-in-law William B. and Carolyn M. Lowrey of Mt Airy, daughters Debra L. Lowrey, David Brown of Mt. Airy and Brenda K. Lowrey of Hayesville NC. Grandchildren Cynthia D’Amico and husband John, William C. Lowrey and wife Jennifer, Kristin L. Niessner and husband Ryan, Kraig G. Demastus, Steven B. Mullinix and wife Kara, Dylan R. Moore and Kelsey M. Moore, Predeceased Blake J. Mullinix. Great Grandchildren, Kelly D’Amico, Mack Mullinix, William A. Lowrey, Cole B. Mullinix, Jamison B. Niessner, Wesley T. Mullinix, and Kaelyn D. Niessner. Funeral Services will take place at 11:00 AM, Monday, January 28, 2019 at the Lisbon United Methodist Church, 15875 Frederick Road, Lisbon, MD 21765. The family will receive friends from 2-4 PM and 6-8 PM on Sunday, January 27, 2019 at Burrier-Queen Funeral Home and Crematory P.A, 1212 W. Old Liberty Rd, Winfield Md., 21784. Interment will be in Poplar Springs Cemetery. Those desiring may make contributions to Gilchrest Hospice of Howard County, 5537 Twin Knolls Rd. Suite 433, Columbia, MD 21045. Online condolences at www.Burrier-Queen.com. To send flowers in memory of Wanda Lucille Lowrey (Moore), please visit our Heartfelt Sympathies Store. We encourage you to share your most beloved memories of Wanda here, so that the family and other loved ones can always see it. You can upload cherished photographs, or share your favorite stories, and can even comment on those shared by others. 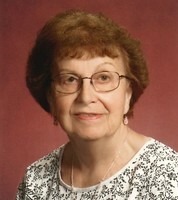 Provide comfort for the family of Wanda Lucille Lowrey (Moore) by sending flowers. Sending loving prayers in memory of a great lady. Take care.